I am aware of how to turn the Bookmark Bar on and off. That is not the issue. Apologies for getting your name mixed up. I am ever so grateful to you for posting this cure, as I had been trying to restore my tool bar and recent bookmarks for ages. I would have never thought of this action. My sincere thanks for your input. Dorian. around 3 hours i tried to find the bookmarks bar. But i couldn’t get it. 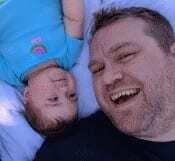 i follow what the “TechniPages” showed. 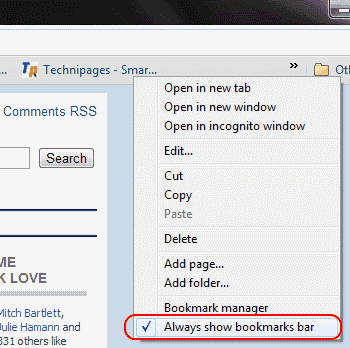 now i got bookmarks bar right away. Thank You very much!!! I use the window 10 version on my computer. In google chrome search engine when i go to a web page lets say ebay and save the icon to my desktop to create a shortcut when using that shortcut it will lead me back to ebay but i will not get the bar at the top that lets you go forward and backwards and refresh etc. How do i fix this? I had this problem too, took me a while to figure it out I will describe mine and maybe it applies to your situation. Today, I could not find my second gmail account that I had set up a couple of years ago; I needed to use a different email address for verification to set up utility bills for some of my properties, so I persevered. After googling numerous times for help, I finally found a solution of setting up another person in chrome under 1) settings, 2) manage other people. Upon doing this, my bookmarks seemingly disappeared, I finally realized that the Chrome tab that I was using was opened under the new “person” that I had just set up with the second gmail address, which was me, of course, and with the same photo, confusing. I had to go back to 1) settings, 2) manage other people and click on my main email address; when I did, all of my bookmarks were there. So confusing! Good luck. You are my hero! It was making me crazy! Thank you for your help! Ctrl + shift + B does not work for me…nor does going into appearance and manuall sliding the lever. All it does is remove a very fine line. That’s it. I don’t like having my personal bookmarks publicized for all in the house to see! didn’t work for me — i managed to get back the commercial ones individually but now have to go dig for the others — what a pain. This isn’t the first time this has happened. 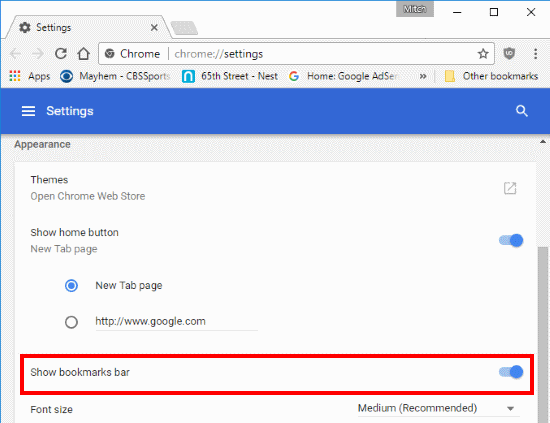 any other suggestions to retrieve ALL bookmarks on the bar without redoing everything? She can also change the screen resolution with a shortcut key combination – I have to go into the menus to resolve that one! Got me worried Thank you so much! Worked like a charm! Thank you so much!! All my important bookmarks disappeared when the tool bar disappeared. I have XP so I guess they are trying to force me to upgrade, which I’m not going to do. Is there somehow I can get it back?